Kingdom is a Korean-language Netflix series that centers around a viral plague ravaging a feudal Korean kingdom. What does this first installment of the series have in store? Let’s find out as we recap Kingdom season 1 episode 1! A pair of servants arrived at the king’s residence to bring him his dinner. One of the servants was pulled into the king’s private chamber and was attacked. Notices announcing that the king had died were posted throughout the nation, and a solider, ordered all of the notices be taken down. The Haewon Cho Clan arrested all of the scholars in the region and tortured them for information regarding the notices. Crown Prince Lee Chang sought out the Queen and asked permission to watch over his father. He was denied, as the king was ill with smallpox and the kingdom could not risk losing both male members of the royal family. 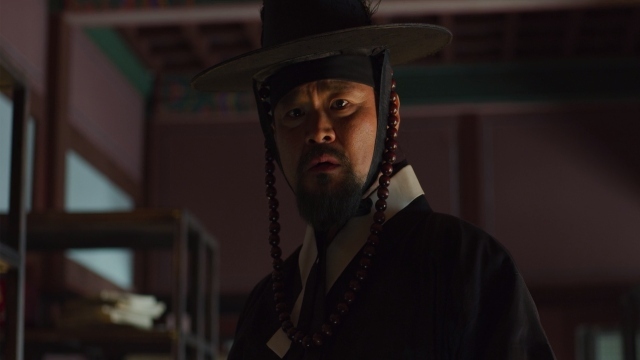 Chang sent his bodyguard Mu-yeong to go and steal the journal being kept at the Royal Infirmary. Mu-yeong quickly decided to sneak into the infirmary in the morning when the guards changed shifts. That night, Chang snuck into his father’s residence, but found that he had gone missing. Chang noticed inhuman sounds coming from inside the house; the king’s bodyguards found Chang. They sent him back to his chambers and disregarded Chang’s claims that a monster was wandering throughout the king’s house. Mu-yeong returned to Chang’s chambers with the recently acquired journal in hand. Chang examined the medical records of his father, and found that the doctors had not been making reports daily. He decided to leave the palace in disguise, while accompanied by Mu-yeong to make a trip to the outlying areas of the capital. In Dongnae, the main doctor, Lee Seung-hui, returned to the village with the body of Dan-i. Back in the capital, the leaders of the Confucian scholars, demanded that the younger scholars be freed, as none of them had admitted to any crimes. The royal court intimidated the scholars into dropping their complaints. The next day, the royal court ordered Chang to be arrested. The Haewon Cho Clan went to his palace and found that the Crown Prince had left his palace. They immediately began searching the city for him. Mu-yeong and Chang found an orderly from the infirmary and learned that Lee Seung-hui had returned to Dongnae. 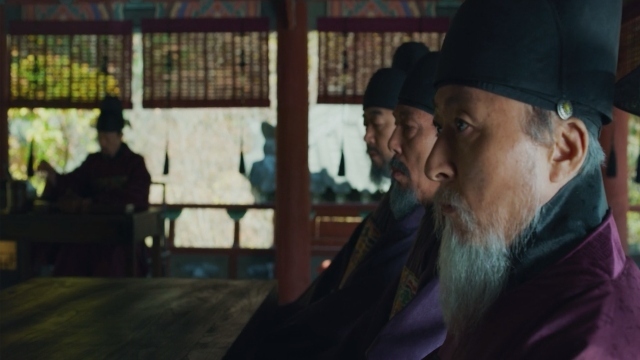 Chang decided to go to Dongnae to attempt tomeet with the doctor and try to save the Confucian scholars. The commander of the Royal Army sent 60 soldiers to Dongnae to kill Chang. In Dongnae, one of the men of the village claimed to have hunted a deer and was feeding the entire village. The head nurse quickly discovered that it was actually human meat that the village was eating. To make matters even worse, the entire village died and then re-animated as a result of eating the afflicted meat. What did you think of Kingdom season 1 episode 1? Let us know in the comment section down below! The post Kingdom Season 1 Episode 1 Recap appeared first on ComingSoon.net.